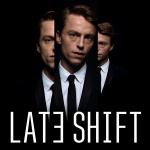 Hot on the heels of its recent release on PC and other console platforms, British publisher Wales Interactive has confirmed FMV-based crime thriller Late Shift is headed to Nintendo Switch as well - and it'll be sidling onto the eShop on 26th April. 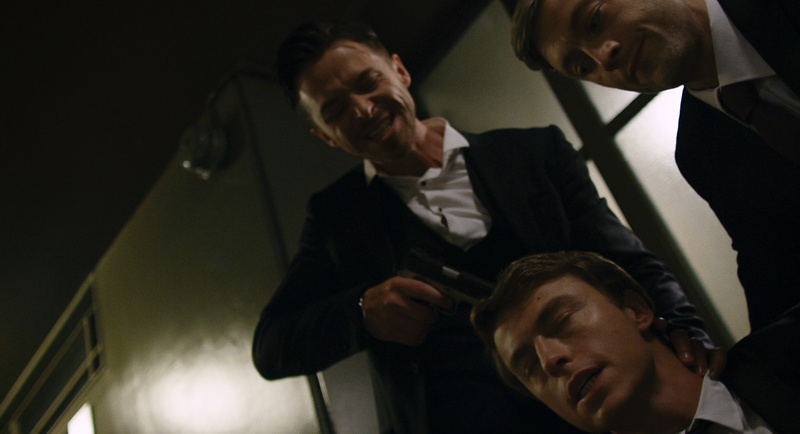 Created by developer CtrlMovie - and written by screenwriter Michael R. Johnson (whose previous work includes Sherlock Holmes, Pompeii and Mute) - it features 180 different decision points spread across a live-action story shot in HD across London. There are countless story threads to follow, with seven full endings to unlock depending on where your moral compass is pointing. FMV gets a bad rap based on games from 25+ years ago, but some of the newer ones have been pretty good. They're a nice change of pace. I enjoyed The Bunker last year in PS4, probably will check this out too. Personally not my cup of tea. Im sure there might be a niche market though for this sort of thing. But with zero input on physically controlling a character, other than do this or do that decisions, I'll pass. A very good game in his kind ! I'm keen, but 7GB is way too big for a digital only release. If they issue a physical release, I'll consider it. Saw TFS play this a while back, it looked alright but it's really short. It's like 45 minutes long. @sillygostly What's the issue? Switch isn't a Vita and you can easily buy dependable sd cards that have a ton of memory. Sadly this looks like it'll be a stinker like Don't Knock Twice rather than The Bunker (both from the W.I.) . Perhaps W.I. need to start some quality control over what games they will publish....as no-one needs another game like this or Coffin Dodgers thank you very much! I love to chose my own adventure. @sillygostly Agree. Physical or pass. @GC-161 : I already have a 200GB microSD and I have no intention of swapping out microSDs like I swap cartridges. If publishers want our money, they need to be smarter about how they handle these kinds of releases on a portable device. My card is already at about 25% capacity and I hardly even have any eShop games downloaded. @sillygostly Barely any downloads and its at 25% ??? You got some extra stuff stored in that card not related to the Switch? I did that with my 2nd 3DS. I didn't download anything to it beside demos and used most of the SD card memory to save videos and family pics. Are you making a stealthy request for retail versions of these games? Just say it dewd. How else are these devs going to get that message. will get it. the bunker is pretty good. But my nitpick is about the Title Case used for headings - it makes parsing the sentence more difficult than necessary, especially as the game title is not in quote marks. I'll sometime read a heading three or four times just to work out what the title of the game is supposed to be. Sorry but I don't understand, you are happy swapping cartridges but not happy with swapping an SD card on a rare occasion? Previously we've all been happy swapping discs and cartridges etc. I really don't understand why SD cards are such an issue for some people, perhaps someone can explain why? Sadly reviews of other platform releases highlight that this is nowhere near as good as The Bunker....perhaps wait for NintendoLife's review before buying!! @FredTheCat : The microSD card also contains patches/update data for games, so say if I was to swap a game cartridge and it so happened that the update data was stored on a different microSD card, then I would need to swap that too. Now that's just ridiculous and excessively convoluted, especially if I had multiple microSD cards or was trying to organise a quick multiplayer session while I'm out and about. MicroSDs are also extremely small and fragile, so the less time I spend handling them, the better. It's appearing less and less likely, but I intend for my 200GB microSD card to last the lifespan of the Switch. This means no large downloadable games (anything over 2GB is a pass) and no retail games with mandatory downloads (though many publishers, Nintendo included, have been very sneaky in this regard). I don't know about the average consumer, but I am more than happy to pay the difference for physical games on Switch.